Are Sleek Blushes really too good to be true? I've never bought any Sleek products before, surprisingly enough, given how well loved the brand seems to be in the beauty community and how affordable their range is. Granted, I tend to gravitate towards Bourjois mostly when shopping in UK Chemists but I got to say, these are really nice blushes. I picked up this Blush By 3 palette in "Lace," which contains a matte orange-toned peach, a shimmery pinky-toned peach, and matte coral. 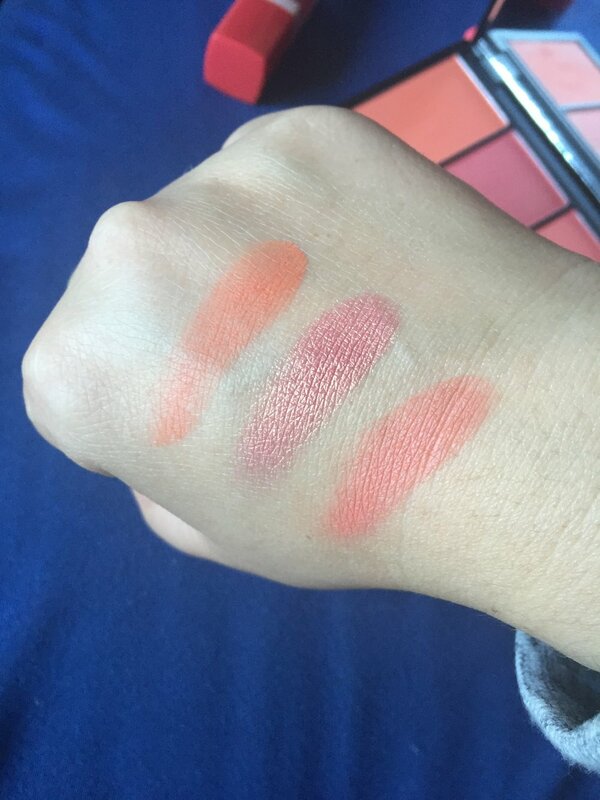 They swatch and apply smoothly, pigmentation is great, and I've found the staying power to be quite decent. They remind me of Illamasqua blushes in terms of swatching, application, and performance, but for far less cash. Dare I say, these are some of my favorite blushes I've ever owned? Perhaps! I'm kicking myself now for buying all of them that I could find and just decluttering my blush draw in favor or these. You can order them via Sleek's website, with free delivery on orders over £35. With the exchange rate as it if right now, I'd say if you're looking to try Sleek out these are a great place to start.